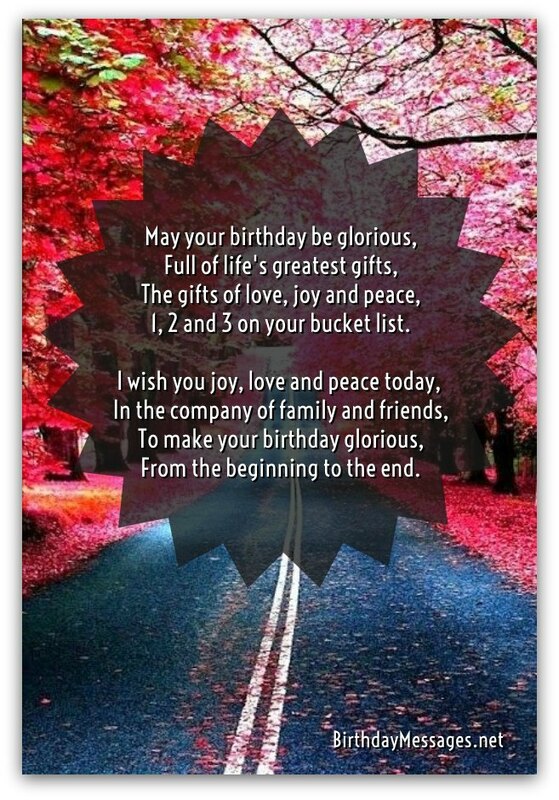 When you send happy birthday poems, like the happy poems for birthdays here, you're sending happy birthday messages that can make loved ones find their happy. Because happy birthday verses combine every kind of birthday message — from sentimental and inspirational wishes to cute and funny greetings — they are undoubtedly the "go-to" birthday wish when you're not sure what type you want to send. Like any poems, happy birthday poetry is in the eye of the beholder. 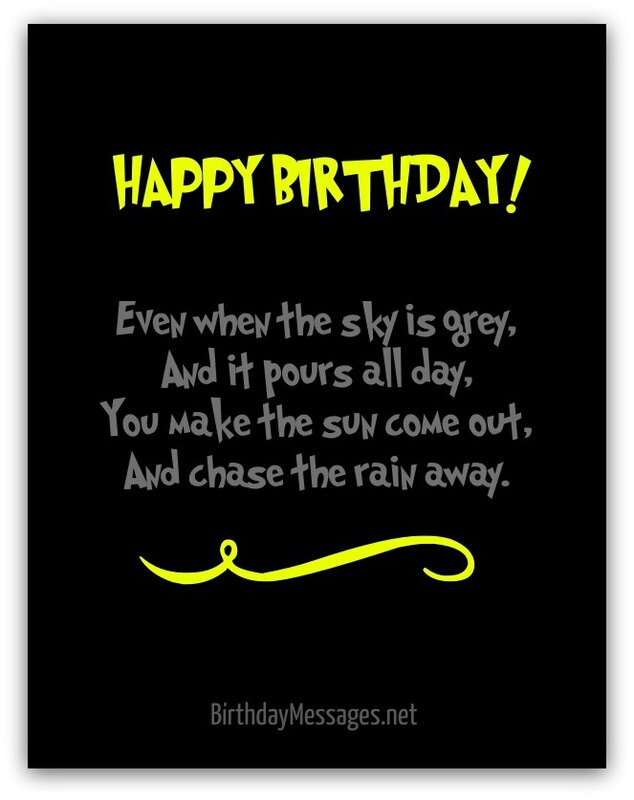 With such a huge choice of birthday poems here, you're sure to find the perfect one for your family and friends. Need some advice on picking the best happy poems for the ones you love? 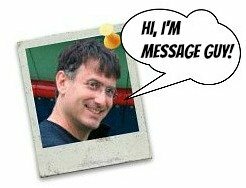 Simply click here to check out Message Guy Tip #95. You'll just need less than a minute to read it! My life's all candy and popcorn. Our friendship's as strong as steel. In the Friends department, you're #1. Full of joy from morning to night. Making your birthday an amazing day. And chase the rain away. Bringing so much joy our way. And day that's truly one of a kind. And happy from morning till night. Whatever makes you the happiest. 1, 2 and 3 on your bucket list.